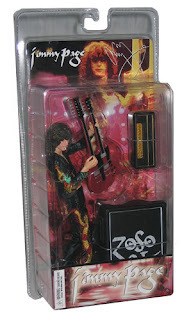 just another glorious day: Led Zeppelin action figures? 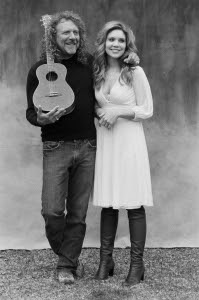 So yesterday we watched a show called Crossroads featuring Robert Plant and Alison Krauss... and it was pretty cool. I do appreciate a good bluegrass song now and then and well this wasn't exactly that but it was great. Anyway, as we're watching it, Ashleigh tells me that she likes his voice, the man with the curly hair, and she, in particular, likes a song called Stick With Me Baby. Okay, that's cute. So today I get an email about the concert tour for RP & AK and dates... very cool. So I click on the link for the website and Ashleigh is sitting next to me looking over my shoulder at the computer. She says, "Hey! That's the man from that show!" Then she says, "I wish I could have a toy of him." Huh? And now she's all giggly since I'm totally laughing at what she said... Apparently, the Golden God, Mr. Plant, has done something to my sweet Ashleigh. I didn't find a doll of Robert Plant but I did find a doll of Jimmy Page so she said a photo of him with the girl and the guitar would work. Labels: Been a long time since I rock and rolled., The Girl.